There is a new way of uploading photos on Facebook: 3D. The feature is available on both Newsfeed and VR. How does Facebook 3D Photos work? Take a picture in the portrait mode of your phone and then upload it as 3D. It will look like you were watching through a window. Once you uploaded it, you can scroll and tilt to give depth and movement to the picture. Share it on your Newsfeed. People at Facebook were kind enough to offer you tips and tricks in creating the perfect 3D photos. But they are referring to iPhones from 7+ to the latest generation. We don’t know exactly how it works on other types of phones. Your photo subject should be some steps away from you and surrounded by other objects that create the layers. Or at least an impression of layers. For example, try to find such a scenery that has some elements both in the foreground and the background of the subject. The contrast will also help you make the subject stand out. For example, if you have a baby blue object and you position it on a background that has a similar color, it will not stand out as if you put a black object on a white background. So keep in mind that contrast is very important. In this situation and not only. Textures are another element that will help you upload the perfect 3D photos. Some of the work better in this situation, whilst others don’t. Try to avoid very shiny or transparent objects, that are harder to be detected by sensors. 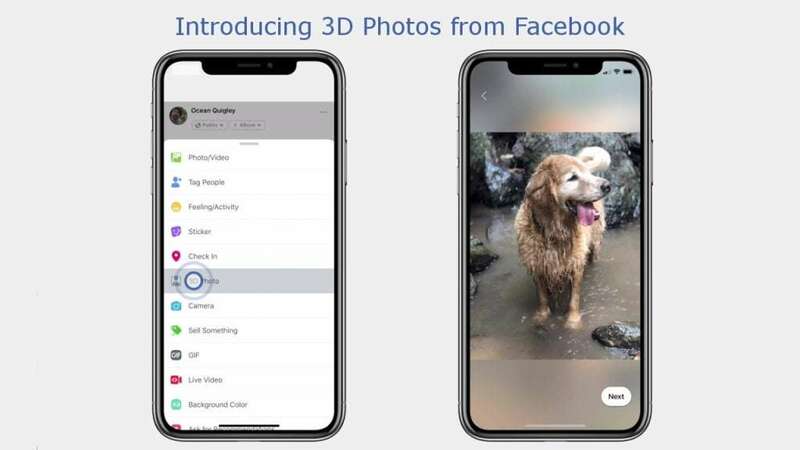 What do you think about this new Facebook 3D Photos feature? Do you think 3D is the future of photography on Facebook?